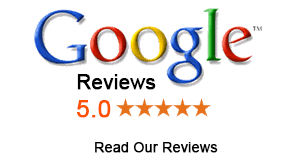 More winning reviews than any other traffic ticket law firm. Let us win your ticket! In January 2015 I was charged with failure to report an accident, failure to remain, failure to render assistance and failure to give required information. Being totally overwhelmed with these charges I truly felt I was innocent of, I turned to OTT Legal for help and to represent me. I sat down with Daniel Jenner and we reviewed the case. Mr. Jenner put me at ease and basically said “let me do my job”. After many court appearances, postponements and finally a trial, Mr. Jenner cleared my name , had all the charges dismissed and cleared me of all fines, charges and demerit points. This took nine dragged out months. Although I knew I was not in the wrong, I could not have done this without Mr Jenner’s patience, professionalism and reassurance. His entire team was great and I highly recommend this company. I just wanted to send you a note of thanks for representing me in my careless driving charge. From start to successful finish, OTT Legal was everything I had hoped for in a paralegal service. You were frank and honest, responsive to my needs and concerns, and you and your team worked diligently to provide me with the best possible representation. The result was positive, but so was the entire experience. Thank you very much. Miklos P.
I’d just like to thank OTT legal services and most importantly, all the individuals who were involved with my traffic ticket. We came to OTT legal services based on a recommendation from a friend. Ever since I received the speeding ticket I was under so much stress worrying about the outcome and I honestly was never in peace. It was my first ticket and I really didn’t want a speeding ticket to be on my driving record. It was a careless mistake and I was so troubled and worried. My only hope was OTT legal services and when received the news you won the case I was overwhelmed with relief. Words can’t express how grateful I am and this is just my small note of appreciation. I will definitely recommend you to anyone I know if they need help with traffic tickets and thank you once again to all the individuals who took care of my traffic ticket. With sincere thanks, Lathanki. I am writing this email to thank you very much for the successfully defending my 5 traffic tickets, which included one for careless driving and another for fail to remain, which could have destroyed my entire driving career. You don’t know how happy I am today, all the stress of these traffic tickets is gone, and its because of your great work. Once more, a big thank you to the whole OTT Legal team for the great services provided through the period. I will highly recommend OTT to my friends and people I know in my community to use your outstanding services for any traffic ticket issues. I had a traffic ticket that would have affected my insurance as well as my work, where I have to maintain a clean driving record. When I presented my situation to Eddie Cho he assured me of his commitment to make this ticket and situation better for me. The results where that all the traffic tickets and charges were dropped! Amazing simply amazing, I will refer all my family and friends to OTT from now on. I hope no one will ever get into trouble but if you do call OTT Legal! Thank you soooooo much for your great work. I will pass your name along to anyone who may need your services. This was way better than I had hoped for. I didn’t think the officer wasn’t being fair in “writing me up for a full 110 km/h speeding ticket. Was I, or wasn’t I going 110??? Anyway. Thanks so much again. If we have any issues in the future we will give you a call FOR SURE! Have a wonderful day, Wendy K.
I can hardly use words to express my thankfulness for all you have done to help me remove my careless driving ticket. Winning in this case means a lot to me. I was so excited and wanted to jump all the way home. My daughters are also very happy with the result. Your professional knowledge and skills, your understanding and kindness will be always remembered. You are the best!!! We have mailed you a thank you card and hope you will like it. We wish you a good luck and win all the cases in the future! I want everyone to know what OTT Legal Services did for us and how much we appreciated the time and effort he took to help us with our traffic tickets. When police laid charges following a traffic accident that cost us $7,000 in damages to our van, Ontario Traffic Tickets and OTT Legal Services made all the difference to us. Len Smart contacted the Crown Attorney to explain why we were not at fault. As a result of Len getting involved the Crown withdrew the traffic ticket of Left Turn Not in Safety, but our troubles weren’t over. Our insurance company still deemed us to be 50 percent at fault in the accident and said our premiums were going up and our rating was going down. We asked Ontario Traffic Tickets and OTT Legal Services to approach our insurance company and they jumped at the chance. They supplied the court records of the traffic ticket withdrawal and wrote a letter on our behalf to explain the situation. The insurance company finally relented and concluded our fault was zero percent. Len Smart stayed the course long after his responsibilities ended and didn’t charge extra for his services. I wanted to thank you for your time and effort in successfully defending my traffic ticket, resulting in the removal of charges. When my husband and I approached you with our court case, we truly were impressed with your analysis approach and case strategy. We walked in with much doubt and hesitation. When we left, we left with 100% confidence that we’ve taken the right decision to work with a professional like you. On the trial day, your colleague Chris made us feel relaxed and ensured that our ordeal was concluded quickly and successfully. After the court trial, we were impressed to receive your letter of notification that our charges have been removed. It is not easy being on the road today. It definitely helped us to know that professionals like you and your firm exist. Your help and assistance were truly appreciated. I was recently fined with a $325 dollar ticket for a careless driving charge, plus six demerit points. Scrambling frantically to find help, I contacted Ontario Traffic Tickets / OTT Legal Services. OTT Legal was quick and responsive to the situation and offered great and easy ongoing communication with the status of the situation. I was totally upset when I received my traffic ticket, since I have a perfect record over the last 15 years. I was facing demerit points and of course, if convicted of this offence, would cost me higher insurance premiums etc. I had heard about all the big names in the traffic ticket help business and after talking with a police officer, I decided to try “Ontario Traffic Tickets and OTT Legal Services”. WOW! Am I glad I did! Chris, you were so genuinely attentive to my situation, and certainly not judgmental in any way. I felt very confident that you would represent my case extremely well in a top professional way when I trusted your organization with my problem. I have dealt with lawyers in the past that could take lessons from your professional and your genuine caring interest! I wanted to thank you and your company for successfully defending my many traffic tickets that have saved me both personally and financially from the insurance companies. I want everyone to know the competence that your organization showed in accessing and ultimately defending my tickets from start to acquittal. Utmost is the acumen that separates you from your competition. In only one courtroom loss (of 7 tickets over 3 years), OTT stood firm on my innocence and we won the case on appeal!! I’m very grateful to both of you for all the work you did on my case. The outcome was definitely worth “ten times” the money spent. I will certainly recommend you and your services to all my friends, fellow salesman on the road, and all Torontonians. Thank you so much for handling my traffic ticket, Your services in this matter were nothing short of professional and the result speaks for itself! I’m very happy to know that my driving record is clear of this offense and there was no fine/penalty nor demerit points charged. I would also like to inform you that I have learned my lesson. And IF (this will never happen) I do ever get another ticket I will be sure to come visit you again. You and your staff were so professional and so personable that I am truly grateful for the time you and your team spent with my case. Please do extend my appreciation to all parties involved in this case. I just wanted to thank you. I received a letter today to say that my traffic ticket has been totally dropped. I never expected that at all. I know it is your job and I paid you but I am very appreciative. I recently had two speeding tickets thrown out by OTT Legal. One in September and one in October, thank all your agents there that worked to win my tickets. You are great and a special thank-you to the Brampton agents that represented me on both cases. Once again excellent work, and i’ll keep referring your company. I acknowledge receiving a letter dated June 20 advising that the speeding ticket charge against me was withdrawn. Just a short note to let you know how pleased I am with the way your office handled my traffic ticket. Will refer clients at every opportunity. Yours truly, P. J. D. Toronto. I am writing to you to thank you for your help. I have received the letter saying that we had won the case, your firm has done great work, as I mentioned to Mark before, I had posted my story on www.51.ca, the biggest Chinese online community in Toronto, please find attached Word file. I will definitely recommend OTT if any of my friends need help. I just want to THANK YOU for getting my red light traffic ticket reduced to zero points. I am very satisfied with your professionalism and service as I have been burned before by other traffic ticket companies whose false claims do not match their performance. Thank you very much! I appreciate what you did for me and I will definitely recommend you to my friends. Special thanks the Eddie and Eva at the Brampton office. Thank you for resolving my speeding ticket in my favor and saving my insurance premiums. I just wanted to take the time to let you know how pleased I was with the service/assistance I received when working with your lawyer last year during my DUI & speeding ticket charge. Very smooth experience. OTT did everything for me, all I had to do was to talk to them over the phone, describe the situation and forward a scanned copy of the ticket. Their charges are reasonable and service is very good. I was very pleased with the outcome after using OTT. The process was easy and every step was explained in detail. I had my ticket reduced from 4 points to 0 and the fine from $250 to $45. I would highly recommend. I would like to thank Jaycen Olavario and the whole team of OTT Legal Services-North York for their help. In February I got a traffic ticket- Speeding 74km/h in 50 km/h zone. But I was absolutely positive that that place has speed limit 60 km/h. I found out the information of OTT Legal Sevices, contacted them, explained my situation and Jaycen took care about my case. And you know what- I did not get 3 demerit points and my driving record is clean!!!! That's why don't waste your time and money, call OTT Legal Services, ask for Jaycen Olavario and get really professional help!!! Thank you again and good luck!!! I’d just like to thank OTT legal services and most importantly, all the individuals who were involved with my traffic ticket especially JAJEL OLAVARIO. I wanted to thank you for your time and effort in successfully defending my traffic ticket, resulting in the removal of charges. Thank you so much for your great work. I will pass your name along to anyone who may need your services..
What can I say??? ?They were fantastic. Educated me.....kept me informed.....and best of all, argued that a charge should be dropped and did it successfully. 5 stars in my book!!! Great service, very professional. Most important of all, they were able to get possibly the best outcome I could have gotten. Thanks! I would like to thank Jaycen and his team for representing me! They did a fantastic job from start to finish by holding one meeting and collecting the necessary information. The rest was all taken care of. I am very pleased with the outcome and I couldn't have got tbe same result without their expertise and support! If you need help with any ticket, this is the place you want to consult with. Thanks again Jaycen! I was very pleased with the outcome after using OTT. The process was easy and every step was explained in detail. I had my ticket reduced from 4 points to 0. I would highly recommend them. Thank you Marcello and Lynn for Representing me. You guys did a great job and we got the W!I will send more referrals your way. Fast and curious service! Delivered results as promised. I would highly recommend to use OTT Legal Service if you have any ticket related issues. Thank you Jajel! Thank you Jajel and OTT Legal Services - North York branch for representing me. The process was super easy and I am very happy with the result! This team is the best! Got careless driving charge dismissed! No charge, no points! Got to keep a clean driving record. They make the process easy and deliver amazing results! Jaycen is absolutely amazing! He is extremely well informed, exudes confidence, and plans his strategy well in advance of the court date. He is extremely professional, and was a pleasure to deal with. I highly recommend Jaycen - he is an excellent paralegal, and such a nice guy as well. Thank you Jaycen!!! and Merry Christmas! Process was very simple. Got 2 charges withdrawn. I made a rolling stop for one ticket, and didn't notice the cop flagging me down and continued to drive a few blocks and got the second ticket for that. I remember thinking I was screwed since the cop said she had it all on video. However the crown was unable to prove any of these allegations and both tickets were withdrawn. Highly recommended. Result was as promised, best amount of money i could have spent. saved me thousands from insurance. Jajel was very professional and helped me through all the steps. Thank you so much!! Great and reliable service. Jaycen helped us and he was excellent at his job. I highly recommend OTT. Thank you! Highly recommend this firm if you need help and legal services with your traffic tickets. Great service, clear and on-time communications to keep you updated on all the steps of your case, and fair price. They just get the job done! Jaycen helped us with our case and I avoided a fine of $400+ and 3 demerit points. Very reliable and professional service. Jajel and Paul were professionals, great to work with and got the results I needed! Jajel was so fast to respond, supportive and went above and beyond to make me feel prepared and ready for dealing with traffic court. I cannot recommend this company enough, they are amazing at what they do. My family and I got hit with 3 seatbelt tickets at the same time. Jaycen was very patient and helpful in answering all my questions over the phone/email. I did not have to go in to his office, I just had to email him the tickets and he took care of the rest. All 3 tickets were dropped today. Jaycen is a very honest and knowledgeable person, please do not hesitate hiring him. Service was quick, calm and efficient. Ticket issue was resolved to my complete satisfaction. I am very, very pleased and would recommend this service. I would like to thank very much Jaycen Olavario @ OTT Legal Services (6126 Yonge St. Unit 2), for his help and support. He is excellent and reliable and extremely capable of dealing with traffic tickets. I highly recommend Jaycen to whoever has traffic tickets issues. He will be your life saver and will make your life easier. I am very very very happy to write this review about OTT service North York, especially MS. Jajel Olavario. She was and is very professional and excellent paralegal. She made all my charges withdrawn. Hence, there is no pine and penalty. I am very satisfy with the outcomes and I will definitely introduce to my friends who have similar situation with me.God bless you. Mr. Jaycen Olavario, a paralegal, is a consummate professional with excellent interpersonal business relationship skills. At his office, we discussed all aspects of my Motor Vehicular Accident (M.V.A.) and its resulting serious traffic ticket. Jaycen mentioned that most likely my demerit points would be reduced from six (6) demerit points to two (2) demerit pints. Even though my M.V.A. occurred a couple of kilometers north of Steeles Avenue East, the location of the courthouse is in Aurora, Ontario. He attended twice on my behalf. With his expertise, the charges were reduced to a lesser offence as informed and only two (2) demerit points were incurred. Jaycen promptly reported the outcome, returned numerous messages and answered all inquires. Due to the lesser violation he obtained, the amount of the fine and insurance increase were much lower than anticipated. He put my mind at ease through an extremely difficult process. It is my opinion that Jaycen’s services are highly recommendable and the fees are reasonable. I am exceptionally satisfied with the results obtained on my behalf. Seeked OTT Legal Services for a Careless Driving ticket. They represented me at the court and spoke with the prosecutor to have the case dropped after reviewing all the information. OTT was kind in answering my questions and quick to deliver. Thank you. Excellent service. Timely returns for calls/emails. I was charged with careless driving, I was highly recommended to use OTT. I called and got informed what my options were and I proceeded with OTT to represent me in court. I was just informed that my charge was dropped and my record is clean. Thank you so much to the OTT team for all your hard work and dedication, you gained a customer for life. You will be highly recommended to family and friends. 9nce again thank you. Jaycen and his team are amazing to deal with! Their service is prompt, efficient - and most importantly, effective. Jaycen managed a very successful outcome. I highly recommend using them. Horrible customer service. Just called to inquire about a ticket I had. The lady on the phone was very rude, not helpful at all and had a lot of attitude. Not great customer service if you're trying to get new business. I'm a bit puzzled at how they have so many high reviews. Professional service. Jajel and his team did an awesome job to fight my tickets. Thank you very much. I went with them to fight a careless driving ticket. The circumstances were heavily against me with getting a favourable decision in this case but I had high hopes. Although they didn't get the charges cleared I am ecstatic with their results as they had it dropped to a lesser minor charge and fine. This was not an easy case to win but they did me well! Jaycen if you read this, thank you!! Not satisfied with thier service. They charge you 340$ for speeding and still you end up convicted and pay fine for the ticket. Insted of going with them i should have gone with prosecutor. Jaycen did a superb job!! !My tickets (3 tickets for one incident) were all withdrawn due to his excellent work.He was very timely with updates and responsive to all the questions I asked him.I would recommend him to my friends if they ever needed to use paralegal services. Outstanding team of experienced traffic defence paralegals that are committed to excellence, professionalism, and dignity. Special thanks to Jaycen for addressing a minor case and had it resolved to the best outcome possible. Happy holidays! I contacted Jaycen at the North York office in regard to a complex case. The person driving in front of me braked suddenly in order to turn into a road on the left which clearly had a no entry sign. I ended up rear ending them and their rear bumper was smashed. OTT legal was able to get the ticket cancelled with no points docked from my license. Jaycen over delivered as all four of my charges got dropped! I am thrilled and would recommend Jaycen to any person if they ever across any Traffic related legal issues. Very professional and reliable service! I am very satisfied. Thanks a lot Jaycen Olavario from OTT Legal for your great service. Words really can't describe how appreciative I'm. It was really a good experience working with him who kept me informed in each step.I would highly recommend him. Jajel & Jaycen from OTT Legal were amazing to work with. They were attentive and on the ball and kept me in the loop with concise information. I would highly recommend hiring OTT Legal to represent in any traffic offence. They know their stuff and in the end had my conviction withdrawn. A few months ago I got a traffic ticket (disobey stop sign). I didn't want to collect the demerit points so I fought the ticket. I started to check reviews of Legal Services because it was my first traffic ticket. I could have chosen a well advertised legal firm which has an office close to my home but I decided to go with OTT , based on numerous good reviews. I don't regret my decision. Jaycen represented me in court and the ticket was annulled. My driving record is clean and I didn't have to pay the fine.I am so happy with this outcome. Highly recommended.